Understanding color temperature is one of the crucial rules of photography you must learn before you can begin to break them. 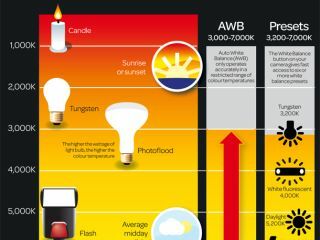 So what is color temperature? In short, each light source has its own individual color, or 'color temperature', which varies from red to blue. Candles, sunsets and tungsten bulbs give off light that's close to red (hence the 'warm' look they give to pictures), whereas clear blue skies give off a 'cool' blue light. It's fairly obvious stuff once you read it. 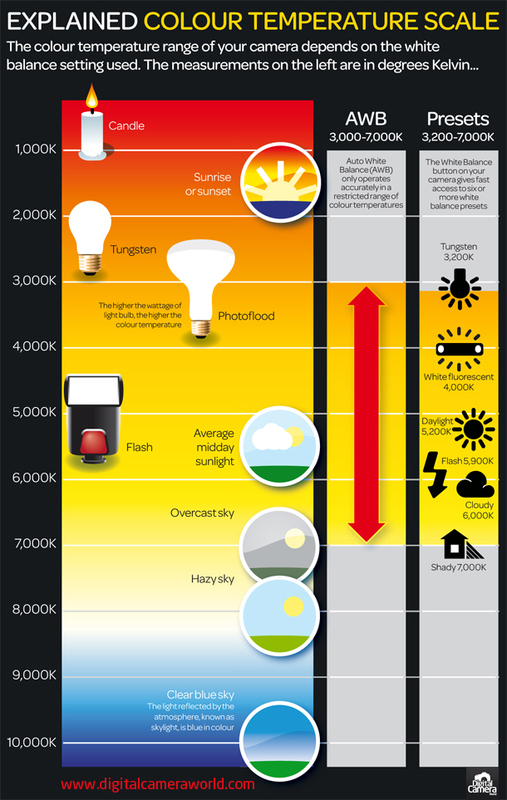 Color temperature is typically recorded in kelvin, the unit of absolute temperature. Cool colors like blue and white generally have color temperatures over 7000K, while warmer colors like red and orange lie around the 2000K mark. When you set your camera's white balance manually (find out how to make a custom white balance setting) you can choose from a number of pre-set color temperature options like Tungsten, Daylight, Cloudy and Shade, or customize your own setting. In our infographic below we've illustrated the color temperature scale and show you where these popular white balance settings sit within it. We've also shown where some common shooting conditions, such as hazy skies and sunsets, sit within the color temperature scale and what white balance setting you might want to use to capture accurate colors in these conditions. To view the larger version of this photography cheat sheet simply click on this infographic or drag and drop it on to your desktop to save as a reference.